William Gaither Crudup was born on 8 July 1968, in Manhasset, New York State USA, and is an actor, best known for appearing in films including “Almost Famous”, “Big Fish”, and “Spotlight”. He is also known for being the voice of the MasterCard commercials entitled “Priceless”. All of his endeavors have helped put his net worth to where it is today. 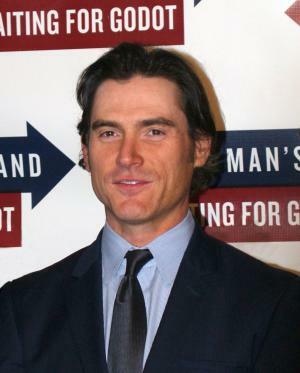 How rich is Billy Crudup? As of late-2016, sources estimate a net worth that is at $6 million, mostly earned through a successful career in acting. Some of his most recent films include “Dedication” and “Watchmen” in which he portrayed Doctor Manhattan. He was also the voice of Ashitaka in the English version of “Princess Mononoke” by Studio Ghibli. As he continues his career it is expected that his wealth will increase. When Crudup was young, his family moved around before eventually settling in Florida, where he would attend Saint Thomas Aquinas High School, matriculating in 1986. Afterwards, he attended the University of North Carolina at Chapel Hill, and would complete his undergraduate studies there, and while there he joined the acting company LAB! Theatre, which helped him pursue his passion for acting; he also became part of the show “General College” by UNC-STV. He then attended New York University’s Tisch School of the Arts under the Graduate Acting Program, and earned his Master of Fine Arts in 1994. A year later his career really kicked-off when he appeared on Broadway in a production of “Arcadia”. Around the mid-1990s, Billy began appearing in films, such as “Sleepers”, “Without Limits”, and “Inventing the Abbots”, and this string of parts would help start his rise in net worth. He portrayed Olympian Steve Prefontaine in “Without Limits”, and still did stage productions while acting in films. Additionally, in 1999 he worked on his first animated film in “Princess Mononoke”, before playing Russell Hammond in Cameron Crowe’s “Almost Famous”. In 2005, he started becoming known for voicing the MasterCard” Priceless” commercials, meantime also appearing in “The Good Shepherd” and “Mission Impossible III”. Thanks to his performances on stage, he was nominated for a Tony Award for his work in “The Elephant Man”, and another nomination for his performance in “The Pillowman” which starred Jeff Goldblum. In 2007, he starred in “The Coast of Utopia” as literary critic Vissarion Belinsky, and this role earned him another Tony Award nomination. In 2010, Crudup starred in the off-Broadway Play of Adam Rapp entitled “The Metal Children”. He would then be cast in “Watchmen” as Doctor Manhattan, before starring in “Too Big to Fail” as former US Secretary of the Treasury Timothy Geithner. A year later, he continued his string of great stage performances with another Tony Award nomination in “Arcadia”. Two of his latest projects include “No Man’s Land” and “Waiting for Godot”. His success on stage has certainly helped elevate both his popularity and net worth. For his personal life, it is known that Crudup had a relationship with actress Mary-Louise Parker from 1996 to 2003; they have a son but it was during the pregnancy that their relationship ended. He then had a relationship with actress Claire Danes which lasted for four years. Currently he is reportedly single. Place Of Birth Manhasset, New York, U.S.
2 If I had done 'Titanic,' it would have made, probably, $200,000 --worldwide. So I think my life would have been very, very similar. 3 I wish I could say that when I didn't agree with a director I defer to him, but I think sometimes I'm a little self-righteous. 4 (on his career) "Every time I do a movie, I think it's going to be a huge hit." 5 When asked who has been the biggest influence on his career, he says, "Mary Louise [Parker, his girlfriend and fellow actor] is a tremendous influence on me. She has incredible discipline. She takes the time day-to-day to watch people, to listen to people. To understand why people do things. And to me, a great actor is someone who's incredibly compassionate. To me, that's really it as far as an actor is concerned". 1 He has English, German, and Scottish ancestry. 7 He and his Watchmen (2009) co-star Jeffrey Dean Morgan both have been in pretty tumultuous relationships with Mary-Louise Parker. Crudup's and Parker's relationship ended when he left her to be with Claire Danes when Parker was seven months pregnant with Crudup's son. Morgan started dating Parker in 2007, they broke up in June the same year, then they got back together and became engaged, but eventually broke up for good in 2008. 8 Though it is commonly mispronounced, his last name is actually pronounced, "croo-dup.". 9 In 2007, he won a Tony Award for Best Featured Actor in a Play for his performance in "The Coast of Utopia". 10 Once worked as an historical interpreter at Roanoke Island Festival Park, in Manteo, NC. 11 MFA in Acting - New York University, Tisch School of the Arts (1994). 12 Won the Theatre World Award for his role in Arcadia. 13 Nominated for the 1997 drama desk award for outstanding featured actor in a play for Anton Chekhov's "Three Sisters.". 14 In 2005, he was nominated for Best Actor in a Play at the Tony Awards for his part in Martin McDonagh's The Pillowman. 15 Graduated from University of North Carolina - Chapel Hill with a degree in Speech Communication. 16 Has been the voice of the acclaimed MasterCard "Priceless" commercials (airing in America) since 1997, but first appeared on-camera in one of these spots in 2005. 17 Was nominated for Broadway's 2002 Tony Award as Best Actor (Play) for portraying the title character of John Merrick in a revival of "The Elephant Man." 18 Has a son, William Atticus (born January 7, 2004) with actress, Mary-Louise Parker. 19 Declined an offer to play Bruce Banner in Hulk (2003). 21 He was the second choice for the role of Russell in Almost Famous (2000). The first choice, Brad Pitt decided instead to appear in the more financially successful film Fight Club (1999). 22 Attended St. Thomas Aquinas HS in Ft. Lauderdale, Florida. 23 He is able to turn down many jobs, because he makes millions of dollars each year using his voice to sell products as a 'voice over actor'. 24 Loves to play golf, and often partners director Bart Freundlich. 25 Was in the "Boy Scouts of America" while growing up in Texas. 26 While attending the University of North Carolina, he starred in a student-produced, university access-channel TV soap opera called General College. 27 In 1998, he joined a theatre group called, "The Lab!" at UNC Chapel Hill and performed the role of 'Schroeder' in the musical "You're a Good Man Charlie Brown!". 28 Grew up in Dallas, Texas, and has two brothers. 29 His parents divorced when Billy was in junior high school, and then remarried -- each other -- when he was in high school. 30 Has a Master's in Fine Arts. 31 Attended University of North Carolina at Chapel Hill for undergraduate work. 32 Won Outer Critics Circle award for outstanding newcomer for his work on the New York stage-Arcadia and Bus Stop. 33 Brother is a publicist. Rudderless 2014 performer: "Home", "Real Friends", "Stay With You", "Wheels On The Bus", "Beautiful Mess", "Sing Along"